In order to signpost families, practitioners need to know what services are available in their area. The Family Information Service is a good place to start, as they provide a range of up-to-date, local information, including voluntary and statutory services that support families. You can find out details of your local service here. Although children’s centres have been reduced in many areas, it is always worth contacting your local centre to find out what is available. Typically, they offer parent groups, health visitor input, stay-and-play sessions and financial advice. You can find your closest centre here. Consider publicising these events on your notice board or mentioning them to all parents as part of your induction process. Health visiting teams provide support and advice to parents and carry out a number of universal child health reviews. Unless there are safeguarding concerns, you will need written parental permission to contact a child’s health visitor. It is best to ask for this as part of your induction process but it would be good practice to tell parents when you are making contact and why. Health visitors are usually very busy but will appreciate an invite to your setting for a hot drink and cake, just remember to give them lots of notice. The majority of health, education and social care professionals support a very high number of children and families and work in a range of settings, clinics and homes throughout the week. They have to keep extensive records, complete a range of statutory procedures and attend many meetings. This means that it is impossible for them to contact all the settings attended by the children they work with. However, they will usually be very pleased if you contact them (with written parental permission) and will often give you advice and strategies that will benefit the child you are working with. If you would like them to attend a meeting, they will need as much notice as possible, usually at least a month unless the circumstances are urgent. If you are unsure of the roles of some professionals (particular if you are working with a child with Special Educational Needs) the Early Support resource “Information on people you might meet” is useful. If you are unsure of a professional’s role then it is best to ask, particularly when you are attending a meeting with more than one professional in attendance. All professionals (including early years practitioners!) use jargon and abbreviations at times, so try to avoid this during discussions as it can create unnecessary barriers, particularly for parents. Although it can be intimidating to contact and meet with other professionals, as an early years practitioner you are also a professional and your opinion is valuable. It is important to remember that parents have chosen your setting to meet the needs of their child and feel confident in your ability and extensive knowledge. Good luck! Kathryn is a specialist early years teacher and trainer who has worked with children for nearly 25 years, including 10 years as an Area SENCO. 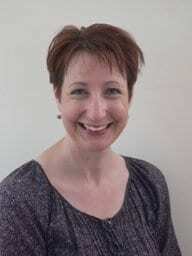 She is a licensed Tutor for ICAN Talk Boost as well as an ELKLAN Speech and Language Trainer. She regularly writes and delivers courses for early years practitioners on all aspects of SEN. You can follow her on Twitter @kathrynstinton2, find her on Facebook or visit her website for more information.